Stylish full sleeves collar frock from the house of Zero. Attractive solid color with print, gives this frock a stylish look. Pullover styling with front button closure, helps in easy dressing. 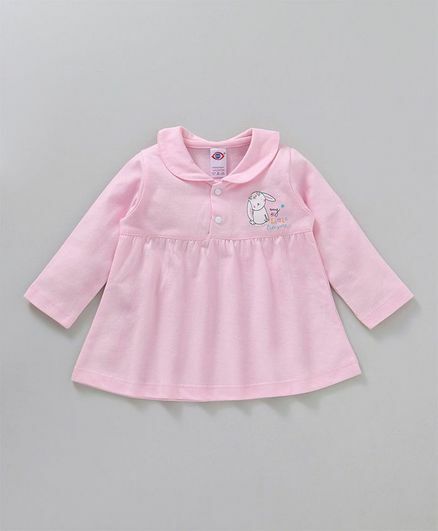 Made from soft fabric, this regular-fit frock ensures optimum comfort to your darling daughter all day long. Styling Tip: Pair it up with booties and hair accessory to complete the look. like it so much. material is very nice cotton and comfortable for baby. so nice. cotton material is very nice.